Marvelous Multiagers! 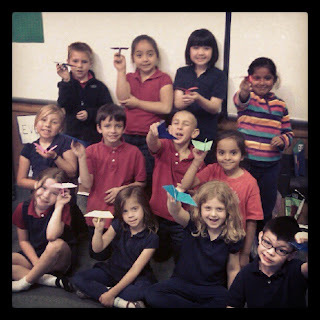 : Origami and Picnics! Well, it's been a bit of a crazy week, so I am happy that the weekend is coming up! And this is one of the first weekends in a while that I don't have anything major going on - no First Communions, no school picnics, no weddings, no bridal showers... only Mother's Day brunch on Sunday! Here's a little update on our ABC Countdown! 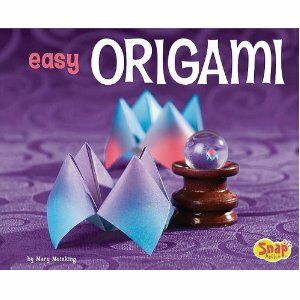 This is the book that I read to introduce origami to them. It was a great book! I am a Grace Lin fan. 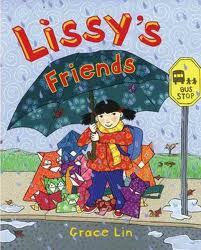 :) It was a really cute story about Lissy, who is a new kid. She has a hard time making friends, so she makes origami animals to be her friends! Eventually this leads her to make a real friend. 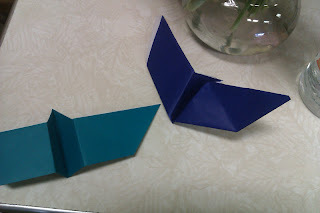 Then, I whipped out this easy origami book! It truly was easy! There were a few little things that didn't take a ton of crazy folds to make. We made butterflies, since we are going to the nature museum on Monday and we just can't get enough butterflies in our lives right now! 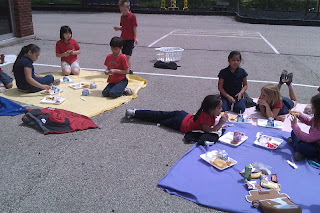 P was Picnic Lunch Day! This was one of the best days yet, mainly because I didn't have to try and squeeze anything extra into our already crazy packed day. 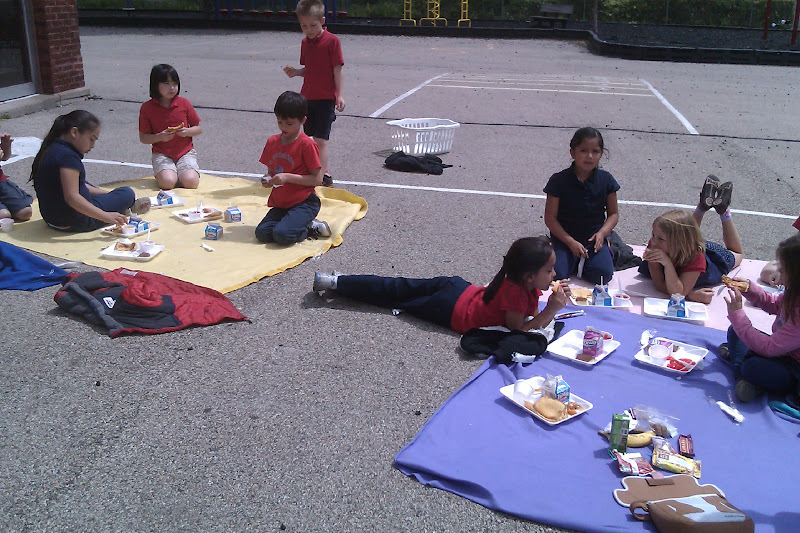 I just brought a bunch of blankets and we ate our normal lunch on the playground. They thought this was the BEST THING EVER. Note to self (and to you) - this is a great reward/motivator! I was planning on just spreading the blankets out on the classroom floor if necessary but it ended up being a really nice day!